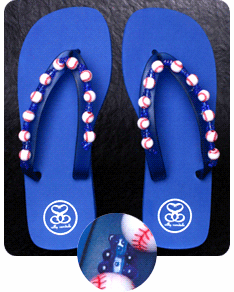 Women and girls are flipping out over these baseball flip flops by Silly Sandals. Authentic and stylish looking, these are perfect for female fans of all ages. 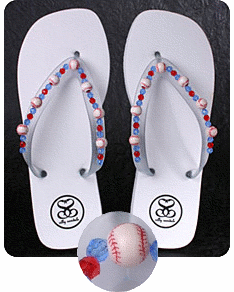 This Bases Loaded design features a red sole with red, silver and baseball beads across the straps. These look great at the field or on the beach.